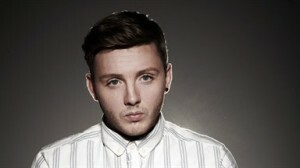 James Arthur won the ninth series of The X Factor in 2012. His debut single, “Impossible”, was released after the final and debuted at number one on the UK Singles Chart in its first week of release. It has since gone on to sell over 1.3 million copies, making it the best-selling The X Factor winner’s single of all time. Prior to his participation in The X Factor, he was a vocalist and guitarist in a number of bands between 2005 and 2012, and later as a solo artist, as well as forming The James Arthur Band and James Arthur Project. James Arthur has been confirmed as support for Justin Timberlake’s Phoenix Park Dublin appearance.